Acne wreaks havoc on the teenage years, and for most teenagers, the damage is only made worse by the desire to pick and pop until the offending blemish is little more than an open wound. As an adult it may not be acne that is causing your woe, but that doesn’t make the desire to pick go away any easier. The desire to pick may come out of a cosmetic desire to make the blemish go away, but the reality is that picking is only going to make the problem worse. The most offending part of the pimple is the pustule, which is the part that protrudes outside of the pore and is visible for all to see. This is the part that you want to pop or pick at, but leaving the pustule untouched is the best way to assure that the pimple will heal and not cause a larger issue for your skin. The pustule is filled with bacteria and oil, not to mention dirt, and any other toxic debris that may have been caught up in your pore in the first place. Popping or picking at the pimple lets bacterium free to roam. As soon as it hits another pore, you can rest assured that another pimple is on its way. Sure, acne isn’t always the culprit for adults who are confronted with blemishes. But if it isn’t acne, then you have even more reason to leave the bump be. Rashes and infections will spread worse than bacteria. When you pick at a bump you are ripping it open and allowing the infection or rash to spread at will. It doesn’t matter where the rash develops, whether it is your face, your arms, your legs, or elsewhere. 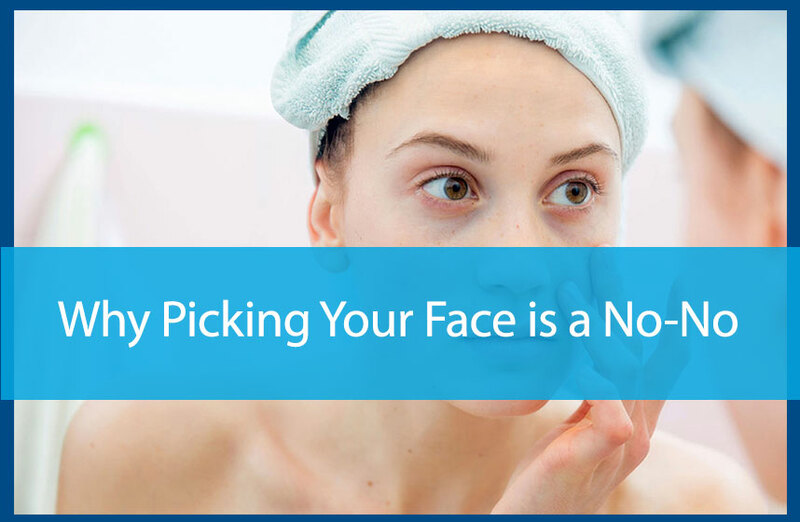 But if it is on your face, picking at the blemish is only going to make matters worse. So, what is the best course of action, if picking is out of the question? The answer depends on the problem at hand. Eczema, heat rash, hives, and other rashes all require different methods of treatment for relief. Even if you think the issue is acne, it could be a rash or infection that is causing those bumps to develop. While sometimes a cold compress or over-the-counter cream will help, you don’t want to use these short-term solutions for more than a day or two before seeking medical attention. Avail Dermatology can determine the best method of treatment for getting you relief from whatever the cause of those bumps is. If you are suffering from acne, scars, or other bumpy problems, please schedule an appointment today by giving us a call at 770-251-5111.